The Dominator Series is the most comprehensive range of medium duty prime cooking equipment available. The portfolio includes the market-leading G2101 Six Burner Range which has a semi-sealed hob for ease of cleaning and powerful 5.8kW burners as standard. 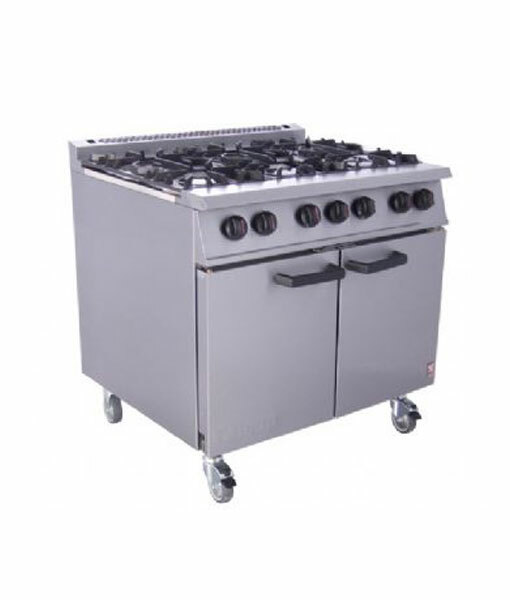 Other products within the series include award-winning Radiant Chargrills and a selection of Chrome Griddles, Pasta Boilers, Fryers and Grills. Each of these is proven within the marketplace and can be found in many kitchens, particularly within the ever-expanding Public Sector.